We’re building on our sales success at supermarket Tesco with a new UK-wide listing for cans of two of our most popular brews. From this week, four-can packs of Bath Ales’ flagship amber ale, Gem, will be available in over 600 Tesco stores across the country, whilst four-can packs of Lansdown West Coast IPA will be stocked at 250 of Tesco’s largest stores. Both beers have previously been available at Tesco stores in 500ml bottles, but this is the first time that canned versions (440ml) have been available on Tesco shelves. The canned products are not listed in any other supermarket. 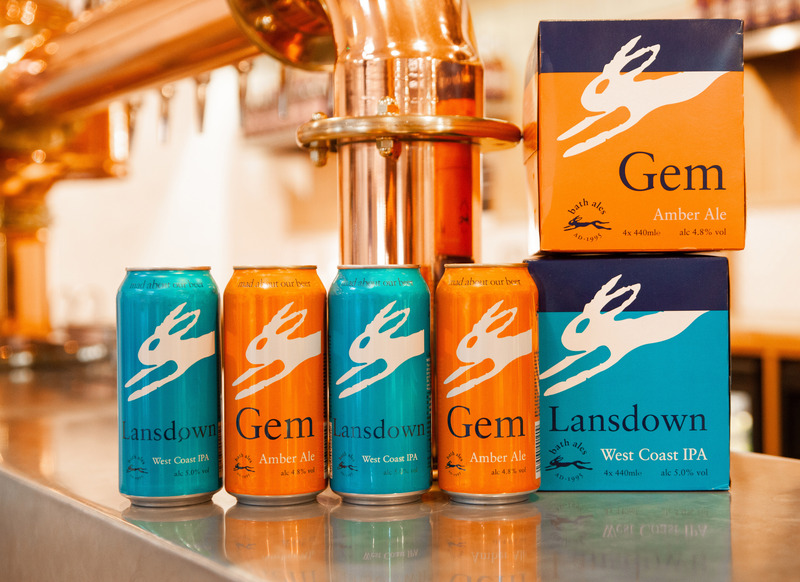 Roger Ryman, Bath Ales’ Brewing Director said: “We’re delighted to be introducing Gem and Lansdown, two of our most popular beers, in convenient 440ml cans. “Gem, our flagship beer, is one of our most celebrated brews and has a loyal fan base across the country. Lansdown, our bold, hoppy West Coast IPA, launched last year and is fast becoming one of our most-loved and recognised brands. Bath Ales began life in 1995 at a small brewery in Wincanton, Somerset. As business grew, the brewery bought its own pub, the Hare on the Hill, and moved production to Bristol and in 2016, Bath Ales joined forces with St Austell Brewery in Cornwall. Tesco ale and stout buying manager Hugo Murray said the new lines were being introduced on the back of strong sales from Bath Ales’ existing products at Tesco stores. “We have a great partnership with Bath Ales and their bottled beers have proved very popular with our customers across the UK,” he said. “By adding to their range, with the new four-can packs, we hope to grow their sales with us even further, and the investment that Bath Ales has made in its Warmley brewery means they have the capacity to meet the growing demand we have seen for their products.